Honduras has witnessed a major shift in their free press a nd free speech exercises in the last decade. Honduras is considered a country with no freedom of press at all and is experiencing a steady decline in general freedom according to Freedom House. In comparison to other countries Honduras ranks at 129 out of 180 countries on free speech issues according to the 2014 World Press Freedom Index. Honduras is a small country that stretches for 43,278 square miles from the borders of El Salvador, Nicaragua and Guatemala in the tropical peninsula of Central America. A majority of Hondurasn speak Spanish and practice Catholicism. One of Honduras’ biggest contributions to the world economy is their production of bananas and coffee, which accounts for 65 percent of their main exports (Encyclopedia). Honduras was first inhabited by Lencas and Jicaques, Mexican Amerindians and Paya hunters before the colonization of Spaniards in 1502 during Christopher Columbus’ fourth voyage (Encyclopedia.com). Once gaining independence from Spain in 1821, Honduras joined with Spanish-American countries, such as Nicaragua and Mexico, to form their own republic. It was not until 1840 that Honduras first gained their complete independence with the creation of their own constitution in 1839 and became known as the Republic of Honduras (Stokes). For the next century Honduras faced a teetering game of military and civilian control. Corruption in the form of bribes, spoils and a series of coups, that ousted one government for the next, led to an instability of democratic rule. These faults were the product of minimal regulations that have been implemented to prevent the arbitrary exercise of power (Booth). It was not until Roberto Suazo Cordova of the Liberal Party of Honduras (PLH) was elected that the republic saw a government of civilians. But within that time, Honduras experienced a high amount of military control that is attributed to the presence of U.S. action. With the support of the United States and President Ronald Reagan, Nicaraguan Contras, a rebel group, began their training in Honduras. The Contras became unwelcome in the 1980s but not without strong military traces still seen in Honduras today. The current Honduras President is Juan Orlando Hernandez, a member of the National Party of Honduras. In the past few years Honduras has received some negative attention worldwide concerning violence and the protection of civil liberties.The global media has been quick to recognize and report on Honduras’ high crime rate and presence of dangerous gangs, like the Mara. Honduras was reported to have the highest murder rate in 2012 and continues to top the list. Honduras has gone through many free speech issues concerning protest, slander and hate speech consistently throughout their existence. In their constitution, Chapter III, art. 59, 61 and 66, Honduras guaranteed the right to speech, assembly and petition (Stokes). Honduras however makes libelous, offensive or critical speech aimed at public officials illegal. Honduras placed laws such as the descato laws, or insult laws, to hinder and punish speech aimed at criticizing public officials in 2005. Protest in Honduras came to a violent head following the exile of former president, Manuel Zelaya. The riot turned violent as police brutality and military force were used to subdue the protesters. Along with revoking liberties, government granted their military the ability to shut down any protest however they deemed fit. Honduras’ ability to resolve their free speech issues is hindered by the current president Hernandez. In the most recent forms of protest all forms of free speech were silenced. In March of 2015 students took to the streets to peacefully protest the death of classmates that were killed and to protest the actions taken by President Hernandez. Once again there was the use of physical force by police to stop the protest (Reporters Without Borders). The current position protesters face is not a safe one; the deaths and threats received by protesters are yet to be investigated by the government. Death has become synonymous with journalism in Honduras but justice does not seem to fall into the equation. Over 30 journalists have been killed in Honduras since 2009. The government seems to not monitor the serious threats journalists face. Recent studies show that 60 percent of journalists receive threats before they are killed. 80 percent of these threats have yet to be investigated and moreover will most likely be swept under the rug. The government plans to further restrict free speech in order to create a safer enviroment. At the turn of the decade, no liberty faced such scrutiny as the freedom of the press did. The press took a big hit primarily following the presidency of Porfitio Lobo, seeing a rise in crime and violence against journalists peak in 2003 and remain at a steady rate for the following years. Libel issues has been one of the on-going hurdles that journalists have dealt with in Honduras. Under law, libel is illegal and offenders can be imprisoned up to three years. In 1988 the Honduran government sued Tiempo newspaper on a libel charge (Manuel). Attorney General Ruben Zepeda protested that an editorial in Tiempo had the intent to provoke hatred for the Armed Forces by reporting that the institution opposed a new deal with El Salvador because the Forces would not financial benefit from the deal. It was 20 years later that journalists really felt the pressures of government officials to censor themselves and refrain from issues that were too controversial. German Antonio Rivas, managing director of Corporacion Maya Vision-Canal 7, was shot and murdered following allegations he made about private companies and illegal smuggling across the border. Steadily, threats and harmful actions toward journalists were seen following stories that reported on crime and violenc. President Zelaya believed that the media had created a “culture of death” by not censoring themselves. To fight against this death culture which Zeleya found to be a pressing issue of security, he imposed prior restraints with laws that are still used to subpoena and punish journalists who report on sensitive issues such as official corruption, drug trafficking and human rights abuse (Human Rights Watch). In 2009 President Lobo proposed the “gag law” that punishes the broadcast of violence, crime and obscenity. Libel cases in Honduras are currently one of the most pressing issues concerning journalists and their need to censor themselves. In 2014 journalist Julio Ernesto Alvarado was sentenced to 16 months in jail and banned from journalism during those months he was imprisoned. The sentence preceeded a libel case formed against him. The lower court found him guilty of defamation by reporting charges brought against Belinda Flores, a former dean at the Autonomous University of Honduras. Following a revision from the Tegucigalpa court, Alvarado’s ban was lifted and the jail time was converted to a fine. The case was reviewed one final time, once again placing the 16-month ban on Alvardo (Reporters Without Borders). The case was viewed as a loss for free speech and reporters globally. Many libel cases are still being made against journalists. President Hernandez implemented laws in early 2014 that censored publications on the campaign to prioritize security in society. The president has gone further to enforce the security by restricting “any information…relating to the internal strategic framework of state agencies and whose revelation, if made publicly available, could produce undesirable institutional effects” (Freedom House). Government has been very strategic in the most recent years to allow journalists to speak to public officials with prior consent. According to Marylin Mendez and Dagoberto Rodriguez of La Prensa, professional journalism has become obstructed through the prior restraint and censorship of government entities. The freedom of press continues to spiral down into a rabbit hole. Honduras and the United States has faced a series of similar free speech issues. In relation to the United States, it is easy to note the free press rights are often negated in Honduras. Honduras ranks at 129 according to the World Press Freedom Index; the United States ranks at 46. Honduras’ libel law is an issue that constantly gets criticized by countries that have a liberal take on free speech. Honduras has punished journalists for the false statements that have been spoken in slanderous speech or published, most recently in the Alvarado case. The biggest difference that the United States and Honduras have, considering defamatory statements, is the requirements a plaintiff must meet in order to prove defamation. Article 155 in the Honduras Penal Code states that slander or false statements that lead to an investigation can be punishable. Defamation according to the same Penal Code identifies defamation as simply libel or slander that could cause hatred or contempt against the victim (Stokes). This definition was upheld in the former case of Ellner. Contrary to the simplicity that Honduras takes in defining and punishing libel the United States perused a much more rigid standard for defamatory speech in New York Times v. Sullivan, a turning point for free speech in America. When the New York Times published an advertisement accusing Montgomery police of arresting Rev. Martin Luther King Jr. in order to further yield the efforts of desegregation, Montgomery Police Commissioner, L.B. Sullivan sued for personal defamation. The Alabama law constituted that actual harm did not have to be proven in order to award damages, giving the win to Sullivan. The win further propelled the case to reach the U.S. Supreme Court. In a unanimous decision by the court, New York Times was protected under the First Amendment. The case came down to the delicately worded definition of “actual malice.” Malice was defined as publishing statements knowing that they were false, or with reckless disregard for the truth. In many recent libel cases, it set a high standard proving reckless disregard. It is fair to assume that the most recent libel cases facing Honduran journalists would face a different outcome if decided under the Sullivan standard. Honduras has made it punishable under law to speak, not only falsely, but also offensively toward public officials. 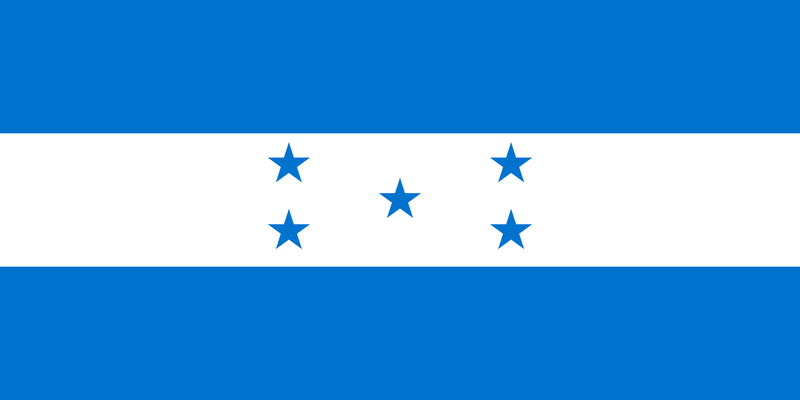 Besides the circulation of scandalous material, most recently Honduras has perpetuated a restraint on material that is “private.” Honduras has most recently fought the transparency of government with the Law on Official Secrets and Classification of Public Information, or Ley de Secretos passed in 2014 (TheLawG). This law manages and regulates information that government releases to the public, more so withholds information from reaching the public. This law has been put in place to prevent journalists from investigative reporting on the government (Kinosian). The law is being reviewed by the National Congress as of late 2014 (Reporters Without Borders). Although the spread of private information through news publications has not been a major issue, it is one to consider the outcome of. A similar case faced in the United States was New York Times v. United States in 1970. When the New York Time and the Washington Post published classified government papers also known as the Pentagon Papers, President Nixon argued that prior restraint was in need for the protection of the nation and classified information regarding the government. The U.S. Supreme Court voted that it is difficult to define “security” in the need for prior restraint. Others reasoned that proving that a publication can cause immediate harm without being presumptuous was an even more difficult task. To further examine why the United States has taken the definition free speech so liberally it is important to consider the value journalists are given by each society. A major reason why the two country’s differ, comes down to their views on who maintains a true democracy. James Madison took note that the introduction and protection of free speech was to be utilized by journalists to create a democracy in which there was transparency and a voice for opposition. The protection of government reputation counters the ideals both countries face. Learned Hand once spoke to a crowd of Americans in Central Park describing the essence of America when he said “Liberty lies in the hearts of men and women; when it dies there, no constitution, no law, no court can save it (Spirit of Liberty, Hand). Considering the imaginary muzzle Honduras has placed on journalism, it is to be presumed that a case like the Pentagon Papers would not be taken so lightly under the hand of the Honduras government. Honduras current state of freedom is lacking but the American freedom of speech has not always been upheld the way it is today. As Americans we see the cases in which free speech was taken from the people as a darker time in history and fail to realize that similar dark times are being faced by other countries. Honduras is not very far from the United States, geographically, but considering freedom the two countries are on opposite spectrums. Although it is easy to contrast “America the free” and Honduras, one thing that is very similar is the effect fear has had on liberties. Historically most countries have been victims of fear, and Honduras is in that state of fear. The condition in which Honduras is in can be viewed as a similar reflection of the hurdles and struggles the United States has overcome. As a nation the U.S. has faced similar issues of censorship, libel and protest. The United States has prioritized the individual rights that Honduras continues to oppress. The differences in countries is correctly reflected on their freedom ranking. Honduras has defined their freedom of speech under strict limitations while the United States has protected their First Amendment in the name of liberty. “Attacks on the Press in 2013: Honduras.” Committee to Protect Journalists. N.p., n.d. Web. 14 Apr. 2015. “Assassination of 4 Student Leaders in Honduras Prompts Protests.” Assassination of 4 Student Leaders in Honduras Prompts Protests. N.p., 27 Mar. 2015. Web. 12 Apr. 2015. Booth, John A., and Mitchell A. Seligson. Elections and Democracy in Central America. Chapel Hill: U of North Carolina, 1989. Print. Brice, Arthur. “Police Clash with Demonstrators in Honduran Capital.” CNN. Cable News Network, 29 June 2009. Web. 05 Apr. 2015. “Freedom of the Press.” Freedom House. N.p., n.d. Web. 04 Apr. 2015. “Honduras.” The World Bank. N.p., n.d. Web. 10 Apr. 2015. Kinosian, Sarah. “The Law of Secrets: What the Honduran Government Doesn’t Want People to Know – Latin America Working Group.” Latin America Working Group. N.p., 19 Feb. 2015. Web. 20 Apr. 2015. “Leading Opposition Broadcaster Facing Criminal Libel Charges.” Reporters Without Borders. N.p., 27 Aug. 2014. Web. 04 Apr. 2015. Lewis, Anthony. Freedom for the Thought That We Hate: A Biography of the First Amendment. New York: Basic, 2007. Print. Leonard, Thomas M. The History of Honduras. Santa Barbara, CA: Greenwood, 2011. PDF. Manuel, Anne, and Juan E. Méndez. Honduras–without the Will. New York, NY: Americas Watch, 1989. Print. “Media Still Gagged Five Years after Coup.”Reporters Without Borders. N.p., 28 June 2014. Web. 10 Apr. 2015. Stokes, William S. Honduras: An Area Study in Government. Madison: U of Wisconsin, 1950. Print. “World Report 2014: Honduras.” Human Rights Watch. N.p., 2014. Web. 13 Apr. 2015. This essay was last updated on April 30, 2015.